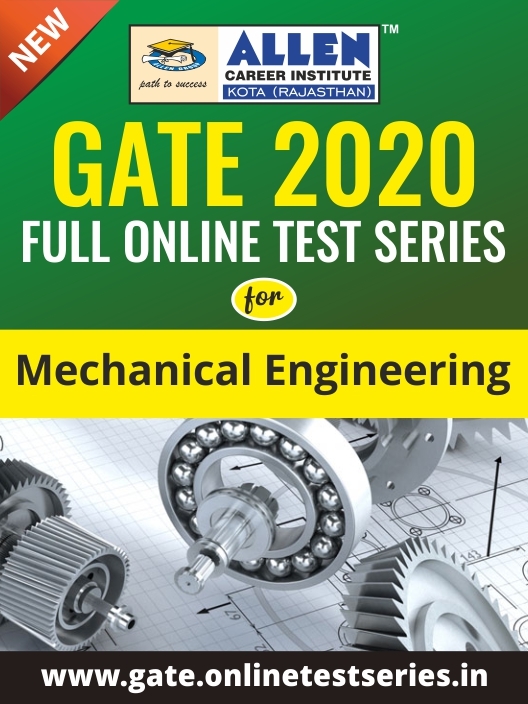 To bring you one step closer to get hired in a PSU, ALLEN's Gate Full Online Test Series for ME (Mechanical Engineering) is a meticulously planned most excellent and comprehensive practice resource for aspirants to provide them with an effective online real-time tool that facilitates them to polish up and self-assess their GATE 2020 preparation. Designed by the subject experts as per the latest GATE syllabus, it covers topic tests, single subject tests, multiple subject tests, full syllabus tests, and GATE 2020 mock tests, helping students to rectify their weakness and excel in competitive exams. This test series provides a platform to the GATE aspirants to boost their GATE preparation by understanding the actual exam pattern and benchmarking themselves against thousands of sincere GATE aspirants across the nation.